Dance Biopharm Appoints Steve Thornton to Board of Directors :: Dance Biopharm Holdings Inc.
SAN FRANCISCO, June 27, 2017 /PRNewswire/ -- Dance Biopharm Holdings Inc. ("Dance"), a privately-held biotechnology company focused on the development of Dance 501, a proprietary 'soft-mist' inhaled insulin product to treat diabetes, is pleased to announce the appointment of Steve Thornton to its board of directors. He brings to Dance the experience of being CEO and a board member of a number of very successful biotechnology companies as well senior level experience earlier in his career in large multinational pharmaceutical firms. "Steve stands out as a pragmatic biopharmaceutical business leader with significant experience in drug delivery companies. As both a CEO and board member he has contributed greatly to advancing the business/corporate development programs of a number of companies which held promising technology but needed commercial expertise," stated John Patton, Ph.D., chairman and chief executive officer of Dance Biopharm. "We are truly pleased to have Steve join our board -- he brings a wealth of industry knowledge and the ability to position companies to achieve commercial success. All of this will be valuable as we advance our Dance 501 inhaled insulin product through late stage clinical trials and toward commercialization. He understands the importance of bringing forward the best user-friendly, cost-effective technologies in treating diabetes, a far too prevalent disease." From 2011, Mr. Thornton served as president & CEO of Excelsior Medical LLC until its sale to ICU Medical and Medline Industries in late 2015. Previously, from 2007, he was president & CEO of Bioniche Pharma Inc., a company specialized in the development, manufacture and sale of both proprietary and generic injectable pharmaceuticals and oversaw its significant growth through acquisition and internal development programs until its sale to Mylan Corp in 2010 for $550 million. In 2002, Mr. Thornton joined SkyePharma Inc., a company developing drug delivery technology for the sustained release of injectable drugs, where he served as president until its sale in 2007, at which time he was asked to join its board of directors. Steve has held numerous board of director positions including Halozyme Therapeutics and Pacira Pharmaceuticals Inc. and has acted in advisory capacities for both private and public companies. Earlier in his career he held management positions with units of Bayer and Eli Lilly. He is currently the chairman of the board for XBolt Orthopaedics, an Ireland based company focused on the marketing and sale of a novel device for hip fixation. "I'm excited to be joining the Dance board. I share the passion of John Patton and his team to bring pain free, lower cost, patient-connected technology to the treatment of diabetes. Inhaled insulin makes this important therapy more accessible for patients who have delayed initiation of insulin because of dislike of injections. I have been an investor at each stage in the company's development." Dance 501 consists of a high purity liquid formulation of recombinant human insulin stored in a dispenser for administration with a small handheld electronic inhaler. 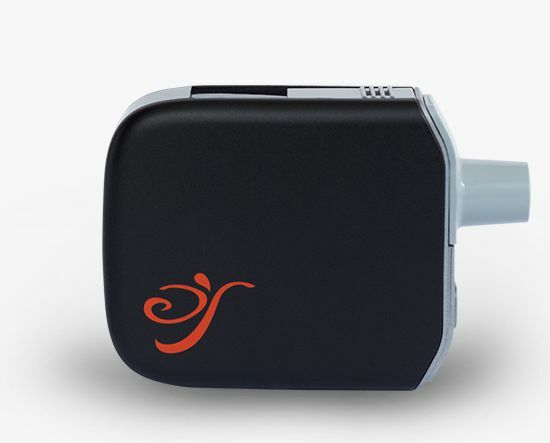 The electronic inhaler utilizes a patented vibrating mesh technology, designed to produce consistently sized particles of liquid insulin in the form of a soft mist, allowing the efficient and consistent delivery of insulin into the lungs in a few breaths. Dance 501 has not yet been approved by any regulatory authority. Dance Biopharm is a privately-held company based in the San Francisco Bay Area focused on the clinical development of inhaled insulin products to treat diabetes patients worldwide. The company began operations in 2010, founded by Dr. John Patton, who has over 25 years of experience developing inhaled insulin and other inhaled therapies. For more information, please visithttp://dancebiopharm.com. All statements other than statements of historical fact included in this press release are forward-looking statements that are subject to certain risks, trends and uncertainties that could cause actual results and achievements to differ materially from those expressed in such statements. We have based these forward-looking statements upon information available to management as of the date of this release and management's expectations and projections about certain future events. It is possible that the assumptions made by management for purposes of such statements may not materialize. Actual results may differ materially from those projected or implied in any forward-looking statements. Such statements may involve risks and uncertainties, including but not limited to those relating to late stage clinical trials and commercialization of our products.